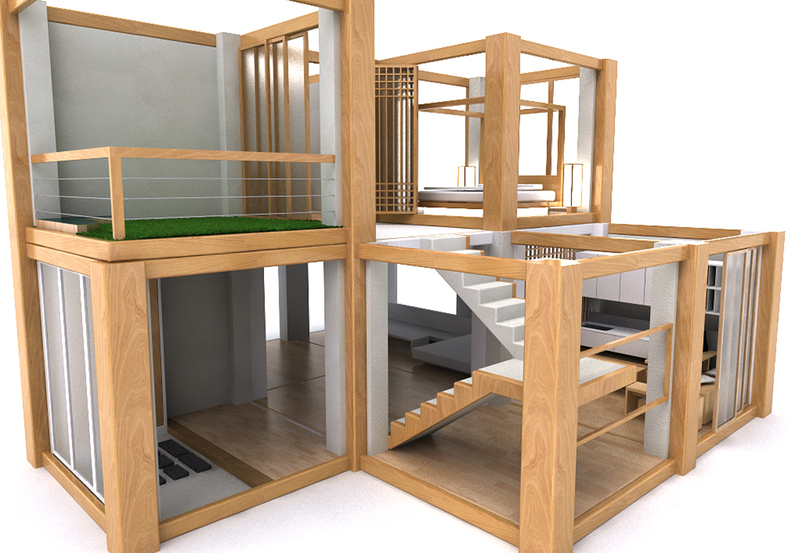 We designed a residential space that contains the value of modern days, and also the values of Korean traditional house. Modularization of the house could be powerful in today’s world where mass-production enabled price reduction and propagation. 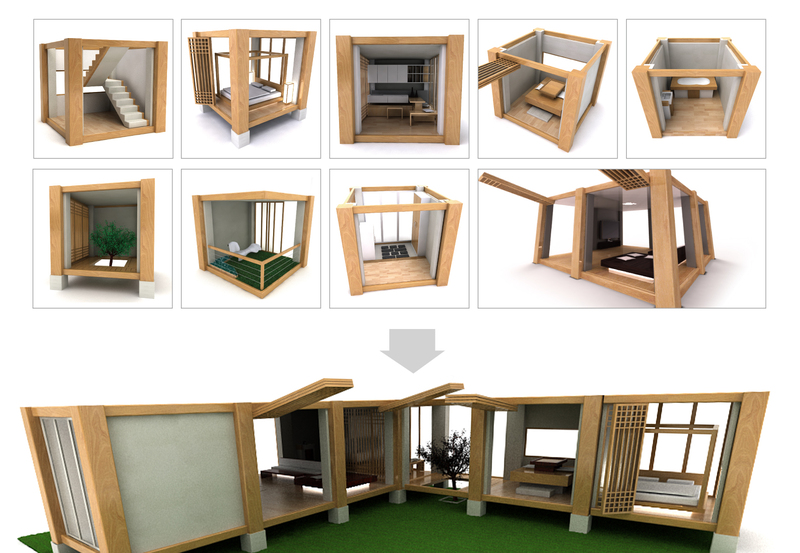 ‘M2Hanok’ modularized spaces so consumers can create their own residential area with the various combinations of units. We were inspired by Korean traditional houses that consist of small rooms divided with pillars. By folding up the doors toward the ceiling, multiple rooms can become a wide space. The interior of module rooms are designed in mixed style of Modern and Korean.